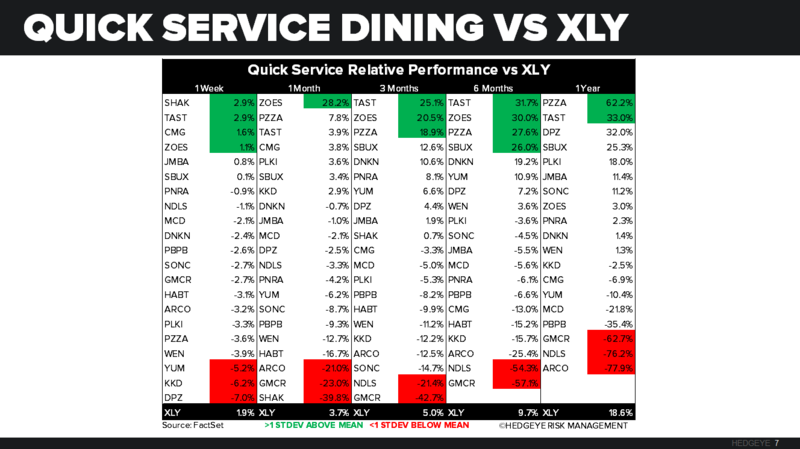 DPZ | Downgraded to sector weight from overweight at KeyBanc, citing valuation as a reason. PNRA | Upgraded to overweight from underweight at Piper Jaffray, price target is $200. 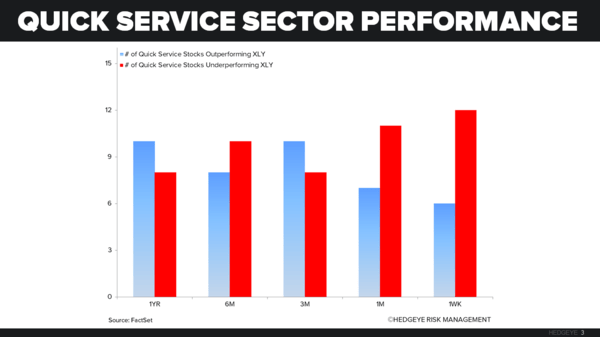 BWLD | BWLD upgraded to outperform from market perform at Raymond James, price target is $195. 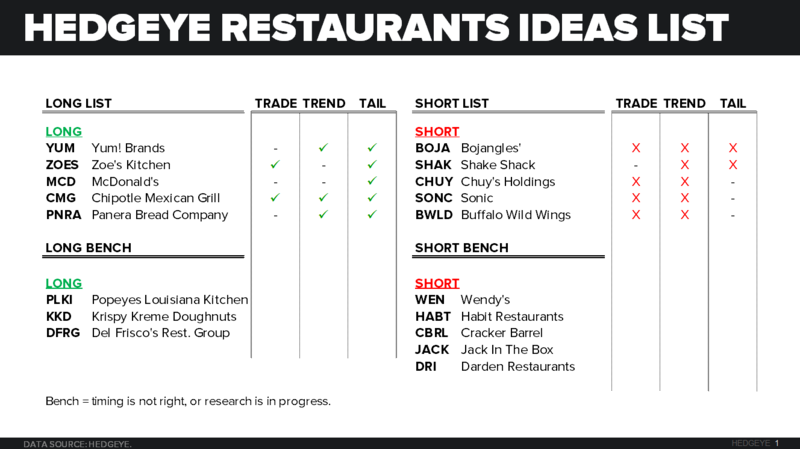 BWLD is a new edition to the Hedgeye Restaurants Best Ideas as a SHORT. 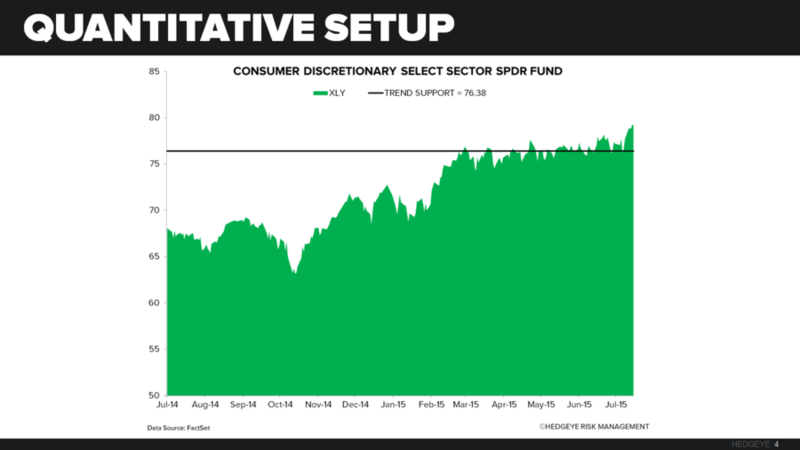 Please refer to our Just Charts analysis here for more of an explanation. 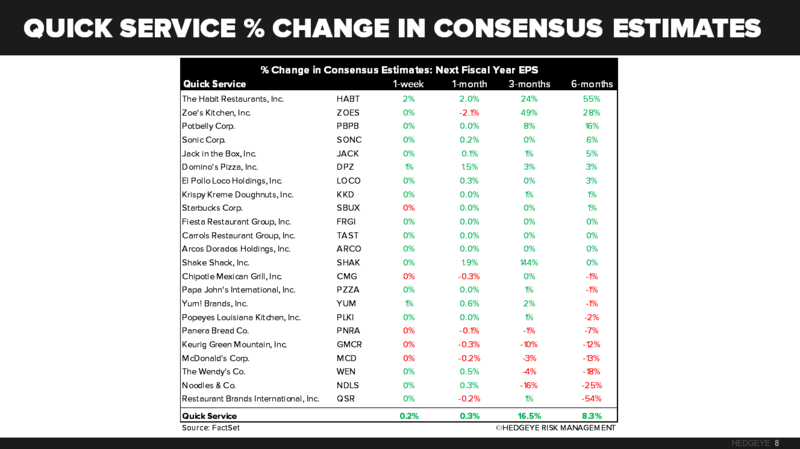 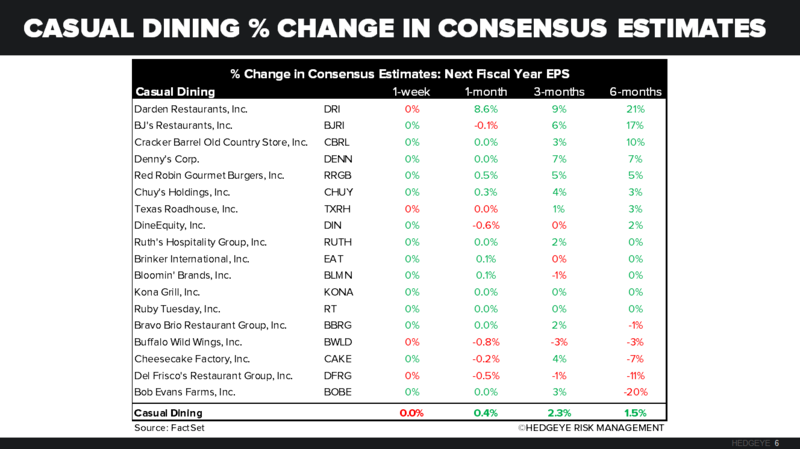 Casual dining and quick service stocks, in aggregate, underperformed the XLY last week. 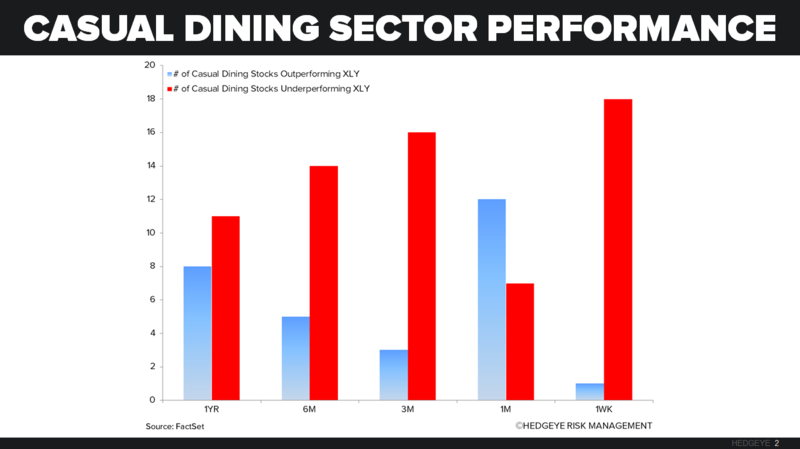 The XLY was up 1.91%, only BWLD beat it, out of the casual dining stocks that we follow, rising 1.93% last week. 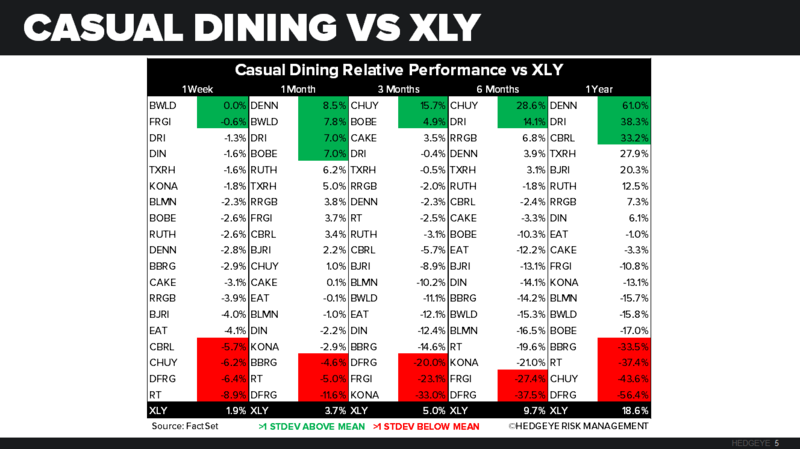 From a quantitative perspective, the XLY remains bullish on a TRADE and TREND duration.